The biggest challenge you will face in transitioning to the role of Project Manager will be managing yourself. That is the start of everything. Your project management skills matter but your mindset rules. You need to remember that, when you become a PM, success will no longer depend on your technical skills. It will depend on how well you can create an environment for others to shine and do their best work. This is hard for those of us that come from a heavy technical background. It takes a lot of painful experiences before we come to this realization. Instead of being the athlete, you will be more like the cheerleader and coach. You should be very comfortable with that. Be comfortable with not being everyone’s friend. Project Management is not a popularity contest. Admit when I am wrong…Fast. And say I am sorry…a lot. See conflict and politics as normal part of a healthy project and organization. You will learn that Project management is a contact sport. Once you master these principles, everything else that will come your way will be manageable. Otherwise, even the smallest problems your will experience in your new role will initially appear to be insurmountable. 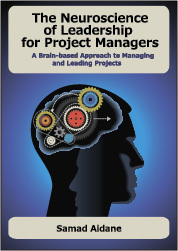 Are you transitioning to Project Management? What are your biggest fears, frustrations, challenges, and wants? Are you an experienced Project Manager? Do you remember the things that used to frustrate you, worry you, and bother you when you first started as a project manager? I would love to hear about your experience. Please leave a comment. Very good article with so many tips and suggestions. I wish I had read this article when I started my first project management job a few years back. I wish in every Org., there were mentors who coach the first time Project managers, hold their hands until the project managers make their project management foundation strong. I believe Project management career phase is a long journey with hurdles in every project. Listening to advices and experiences from people like you will help us move ahead confidently.